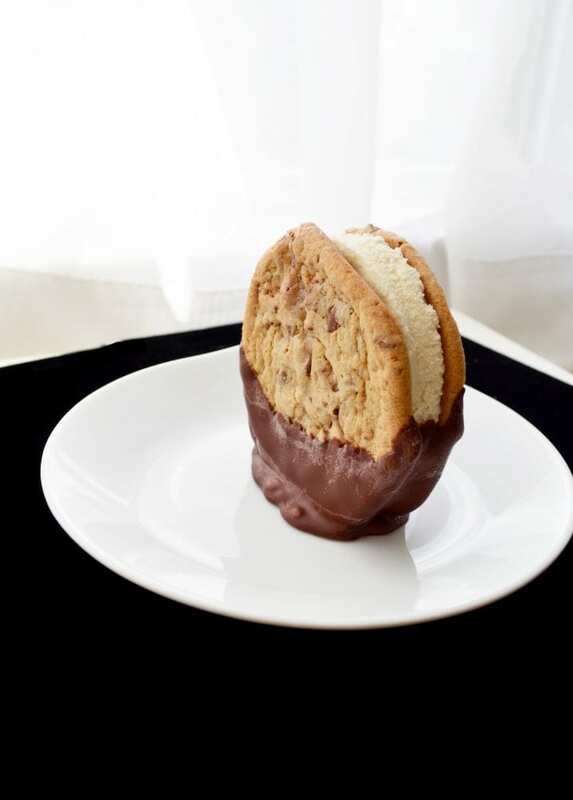 Ice cream sandwiches have a special place in our family's foodie heart. 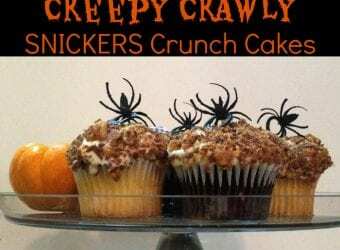 Chewy homemade cookies, unique ice cream combinations, chopped nuts, and dips… This is one treat that truly has endless options. This is one of our favorite combinations. 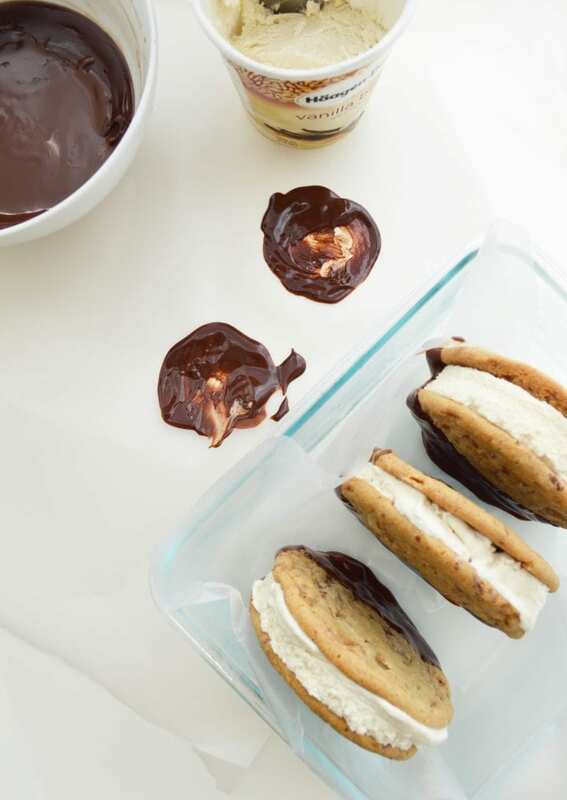 We hope that you love these Chocolate Ganache Dipped Cookie Ice Cream Sandwiches. 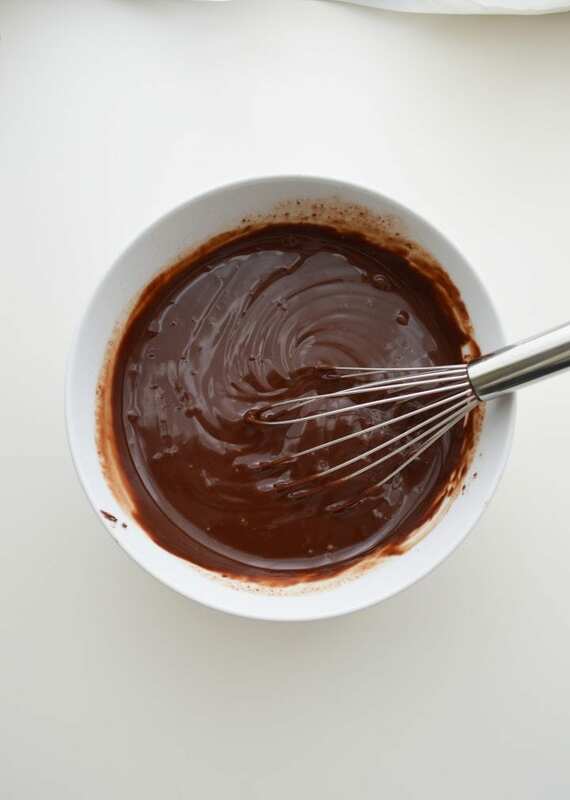 Prepare ganache with enough time to cool or come to room temperature for about two hours prior to dipping sandwiches. Chill cookies and a large flat bottomed dish (such as a bread pan) in the freezer for about an hour before assembling everything. Set out parchment paper and a larger sandwich spreader style knife ready to go before starting. 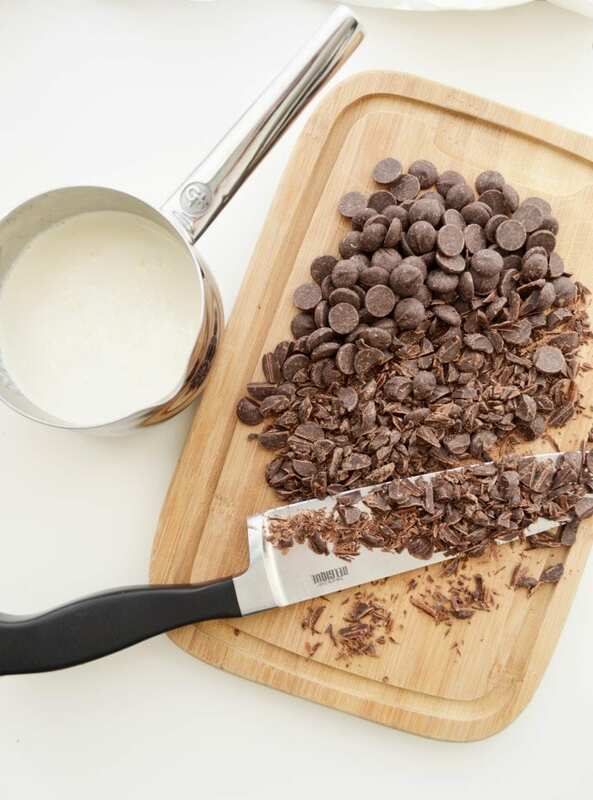 Once everything is out you will want to move very quickly to ensure the ganache does not start to melt the ice cream. 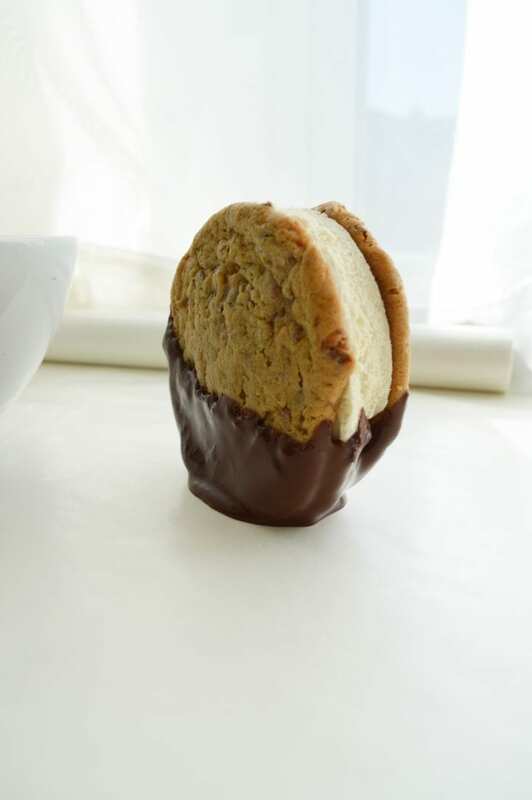 Assemble each cookie, dip and place on its side in the chilled dish lined with parchment paper before moving onto the next sandwich. When don, immediately cover and place in the freezer for a few hours. When ready to serve remove from the freezer, plate and let sit for about five minutes. This will help soften the cookie making the sandwiches even more enjoyable. 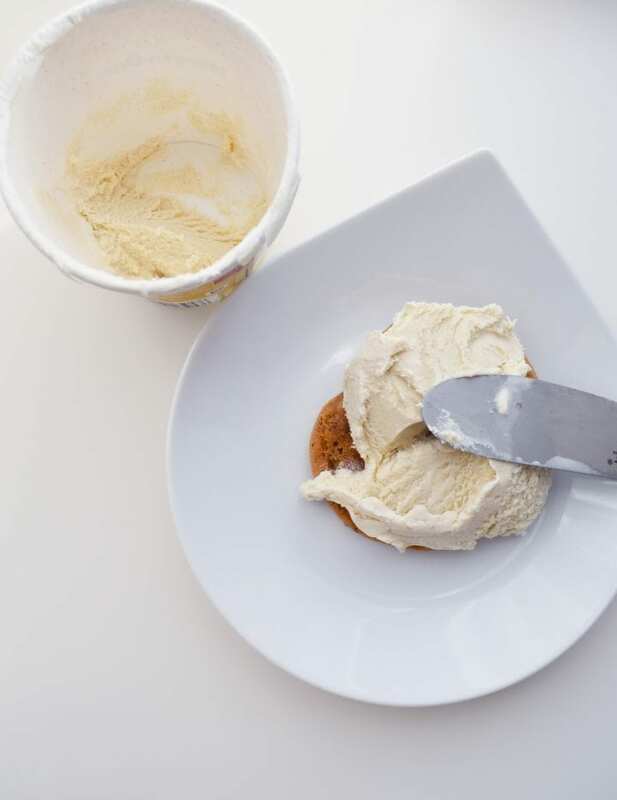 For even layers of ice cream with clean edges have two options: Cut through the side of the pint with a large sharp knife (as you would with a loaf of bread). 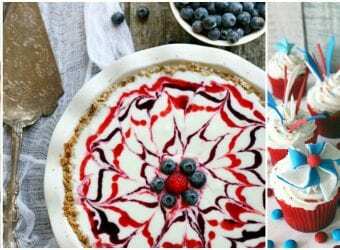 OR Swirl your sandwich spreader knife around in a circular motion to slice out a 3/4 “ thick disc of ice cream. 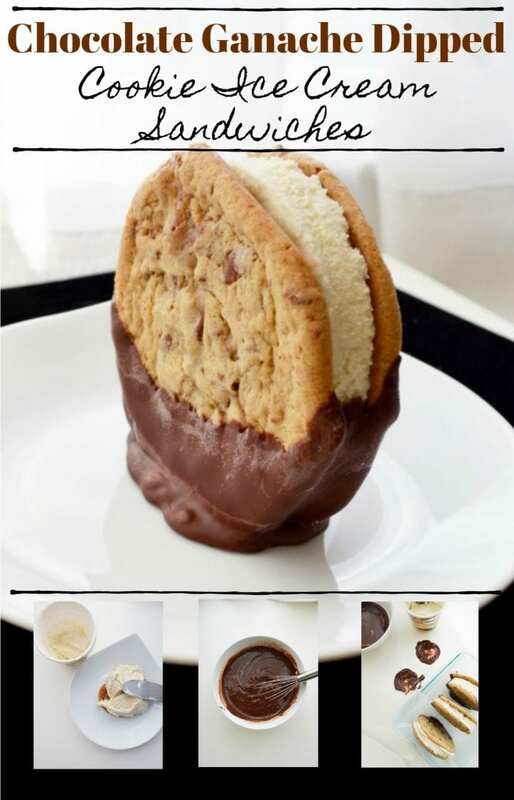 For either option, then fit the disc of ice cream to fit your cookies. 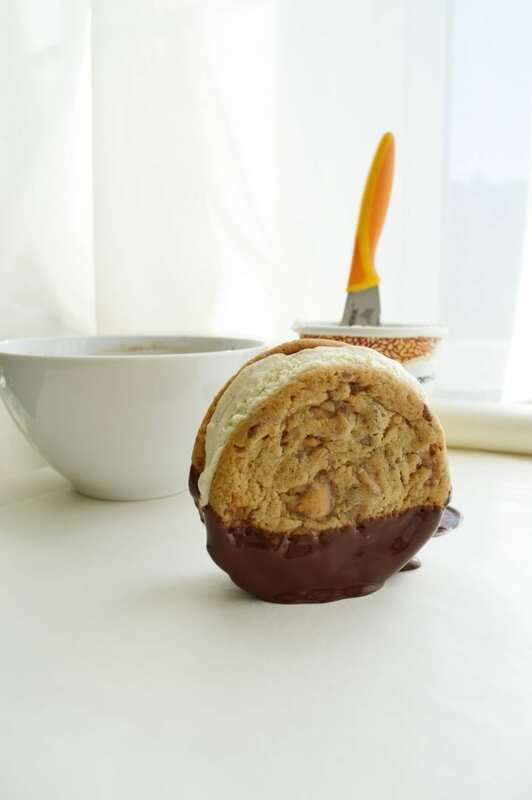 We hope that you loved these Chocolate Ganache Dipped Cookie Ice Cream Sandwiches. These look so good. 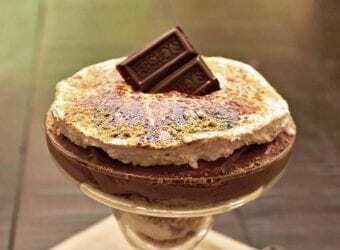 I am going to make some soon! Yum! 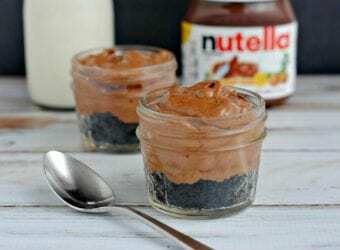 This is a recipe that my family will love and sounds easy to make!